Custom designed, onboard X/Y stereo condenser mics allow variable recording patterns at either 90° or 120°. Unique design lets you rotate each mic capsule from 90° (standard) to 120° (wide-angle) stereo for the ultimate versatility in any recording situation. Now your recordings can be richer than ever before. With low-cut filter, the H4n effectively reduces unwanted background noise like wind or air-conditioning noise. A variety of compressors and limiters help to optimize the dynamic range while preventing distortion. 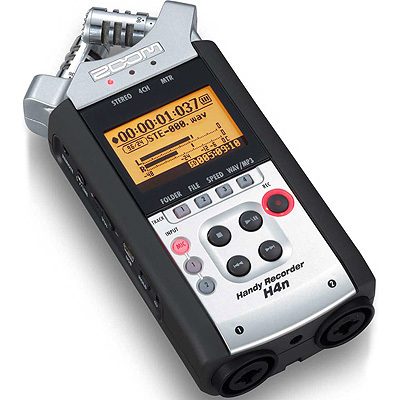 Zoom H4n On-Camera DSLR Audio Kit is available for hire from RENTaCAM Sydney.